PTFE’s chemical resistance, easy to clean non-stick surface, thermal stability and durability in harsh environments makes it ideal for connecting sleeves, transitions and machine covers. Siftex PTFE flexibles are safe for direct food contact and provide outstanding resistance to aggressive cleaning practices. Our selection of PTFE fabrics and flexible laminate films gives you the choice of breathable or dust-tight media. Custom shapes and sleeve designs are readily available. 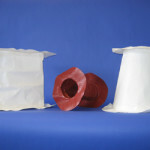 When other sleeve materials can’t withstand your toughest applications, put Siftex PTFE flexibles to work. 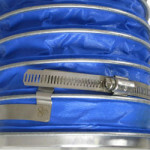 Siftex PTFE flexible connectors are safe for direct food contact and provide outstanding resistance to aggressive cleaning practices. Our selection of PTFE fabrics and flexible laminate films gives you the choice of breathable or dust-tight media. 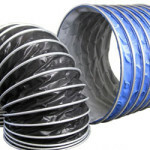 PTFE Sleeves are the Answer! PTFE Woven fabrics are woven from expanded PTFE (Polytetrafluoroethylene), the most chemically and UV-radiation resistant yarn available. The release properties of PTFE act to help prevent build-up of contaminants, and also enables easy cleaning of the fabric. Years of outdoor exposure will not deteriorate the fabric as solar radiation will not weaken the yarn, nor will salt water, atmospheric pollutants, mold or mildew. 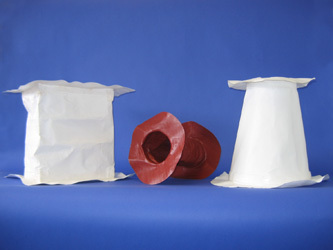 Siftex offers two types of 100% PTFE woven materials. Both are white and food-grade per applicable US and EC regulations. Our PTFE Laminate Film connectors have non-stick surfaces, resist most processing chemicals and can operate continuously at 600°F/316°C. The proprietary cross-laminated structure makes them resistant to tearing, and they are FDA, 3-A and EC compliant for food contact. FDA-acceptable, non-stick, very flexible laminated film with outstanding resistance to harsh chemicals and solvents. Immune to outdoor environments and environmental aging. 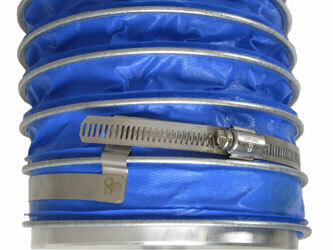 Ideal for use with harsh C-I-P chemicals and extreme temperatures. 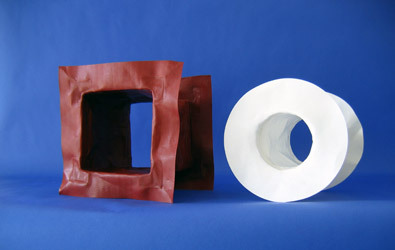 1duct is a PTFE flexible ducting product for all your needs and for any environment. 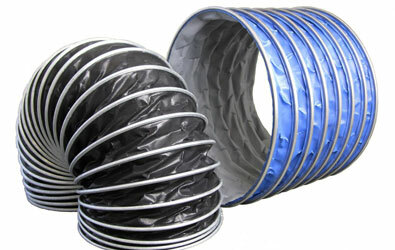 1duct is the most versatile duct on the marketplace and can be used in a wide range of challenging chemical applications and serves as an excellent barrier product in pressure service. Ask your sales rep for more info. Extreme thermal stability for C-I-P environments. Ideal for connecting sleeves, transitions and machine covers. Outlasts traditional nylon fabrics in harsh environments. Non-stick surface for improved product flow. Flex fatigue and tear resistance for both fabrics rate excellent. Abrasion resistance is very good. Both fabrics can be sewn into an unlimited variety of shapes and configurations to meet your requirements. Available in White, Red and Translucent. 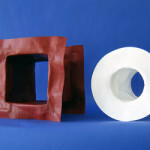 Texseal™ Gasket Tape is a widely tested and proven way to seal liquids and gases of any kind in wet or dry service. The highly fibrillated expanded PTFE exhibits excellent flexibility, compressibility and stability under high temperatures and high tensile strength. The chemically inert product resists creep relaxation and maintains a seal at extreme temperatures. Texseal™ Gasket Tape is a flat sealant designed for surfaces requiring a strip or full-face gasket.